or the amazing things post-processing can do with it? 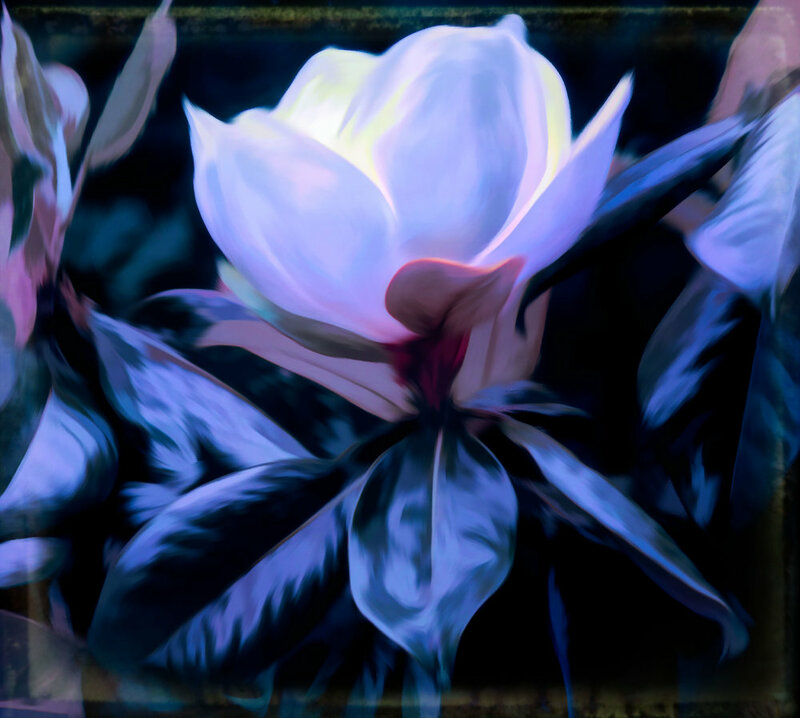 These magnolia pictures are a perfect "focus" for this topic. It was raining, I was out for my morning walk (in the rain). After seeing these blooms, I rushed home to grab my gear to capture them. They're not perfect. I rarely shoot that way, it seems. Take this first flower, for example. The almost street-lamp look of it amazed me--so much more than a fully open, classic blossom that you might find in a coffee table book. The alterations were done in both Photoshop and Topaz, some more "natural" than others. Natural girl that I am, I actually like the more fantastical end of the spectrum, too. And, yes, I did grab an open flower. Except for me, the more interesting bloom was the spent, fading, not-quite-gone color of this lovely lady. Again I found something to admire, something new, in each image I processed. Even the more enhanced versions, like this "sketch." And maybe that's the key. Does the capture, the composition, the color, the texture help you see something meaningful to you? Or something about the bloom you wouldn't otherwise. Or something that inspires you to stop the next time you're out (maybe not in the rain), and spy a not-so-perfect blooms yourself. Will you admire each unique blossom for the jewel, the street lamp to creativity that it is? If so, then--nature or nurture--my job is done!